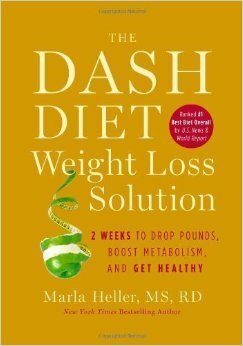 You are here: Home / Healthy Eating / Diet Plan Review: Can the Dash Diet Help Lower Blood Pressure? The DASH diet is making waves as more people are discovering that it can help them reach their weight loss goals fast. The diet was designed to help those with hypertension achieve a lower blood pressure rate within two weeks. From there, the diet can also help to manage blood pressure, manage diabetes, improve nutrition and to lose weight. While there is a lot to love about the DASH diet, it may not be for everyone. Here is some information about where the plan came from, the pros and cons of the DASH diet, and whether or not it could be the right choice for you. I think that because many in the African American community deal with high blood pressure and hypertension, this is a weight loss plan that could help so many people. The DASH in the diet stands for Diet Approaches to Stop Hypertension (DASH). It was created as a low sodium, high fiber and low fat diet approach to help people with hypertension regain control of their blood pressure. It also emphasizes calcium and potassium while avoiding lactose products, which can help those with lactose intolerances too. The DASH diet is not only recommended for those with hypertension, but also many people with Type 2 diabetes have benefited from it as well. The DASH diet was developed by the National Institute of Health (NIH) based on a review of a series of studies examining diet, nutrition and hypertension. It was quickly adopted by the American Heart Association, the Mayo Clinic, and by the Office of Disease Prevention and Health Promotion in the US Dietary Guidelines for Americans as the best diet to follow for heart health. Choose low sodium and low fat foods. Increase your portions of fruits and vegetables to 3 to 6 servings a day. In the book there are more complete explanations of what to do and not do on the diet, plus recipe suggestions. Recipes and meal suggestions are also available from a number of sources online. The key to the diet is to seek out low fat, low sodium and high fiber foods. You should avoid dairy, as a high calorie source with no fiber, and find your calcium in other sources like dark leafy greens or a multivitamin. The major pro of the DASH diet is that if you follow it completely, you will see a dramatic reduction in your hypertension levels within two weeks. This is why doctors are so keen to recommend it to their patients who may be entering into a high risk area of their life. The other major advantage to this diet plan is it does not require radical changes to your lifestyle or diet to begin to see advantages from it. By simply choosing low salt or low fat alternatives in what you already eat, you will move quickly into adopting the whole diet as a lifestyle. It is inexpensive, easy to learn and doesn’t require all of the calorie counting or portion control so popular with other diet plans right now. The reduction of fat, and avoidance of dairy, eating more fiber and the lowering of blood pressure are the factors that come together to fuel weight loss. My only addition would be that I suggest you avoid processed sugar as well for even more benefit and potential weight loss. It can be easy to not get enough carbohydrate or fat while on the DASH diet which can prohibit weight loss. Fat is needed as a fuel for many of the body’s metabolic processes and eliminating it too much can cause the body to go into starvation mode. This is especially important if you are exercising regularly and intensely. You will need to seek out recipes and meal plans that work with the Dash plan because you will not be able to just eat on the go or on the fly because of how much sodium and fat found in processed commercial foods. Another issue is that the emphasis on fiber can also be difficult for some people and it is not an ideal diet for someone with IBS or digestive tract issues (talk with your doctor). As mentioned before, the DASH diet may not be a good choice for those with digestive issues. It is also something that you should not begin doing without first consulting your doctor because of the significant sodium reduction and increase in potassium you may experience while on the diet. As with every diet, those with a history of eating disorders, body dysmorphic disorder or a long history of dieting are asked to avoid using this plan. How Is High Blood Pressure Connected to Weight Loss?